HomeArtIntroducing the ZNN Halloween Art Contest, 2017 Edition! Introducing the ZNN Halloween Art Contest, 2017 Edition! Ladies and Gentlemammals, it’s that time of year once again! September has ended, Green Day has gotten a million wake-up calls, and it’s time to begin preparing for Halloween. So, for the first time in almost a year, ZNN is celebrating with an official contest! And YOU get to be the judges! As I’m sure you can guess, the theme is Halloween, so send us pictures of your favorite Zootopia characters dressed in costume! Pictures of them cosplaying works as well. You have until October 21st to submit your art. Following that, we will allow one week for the community to vote on their favorites, and the winners will be announced on Halloween! And yes, we will be giving away prizes to the winners! Original pieces are encouraged- don’t just recycle a piece you made last year. All art must be Safe For Work, according to our usual guidelines and standards. “Spicy” or “Suggestive” works will be allowed or disqualified on a case-by-case basis. You may only submit one piece of artwork for this contest. Artist Signatures are encouraged, and watermarks are allowed, but they must not be obstructing the characters or costumes. Hate to throw you under the bus, PVTScott, but the cover image above is an example of what not to do. However, if the watermark were in the mist below Nick and Judy, rather than on top of them, it would be okay. All art must be submitted before October 22nd, 2017. Submissions outside of this timeframe will not be included. I think Nick Wild would make an amazing Dracula! Or Cheif Bogo…artists make it happen! 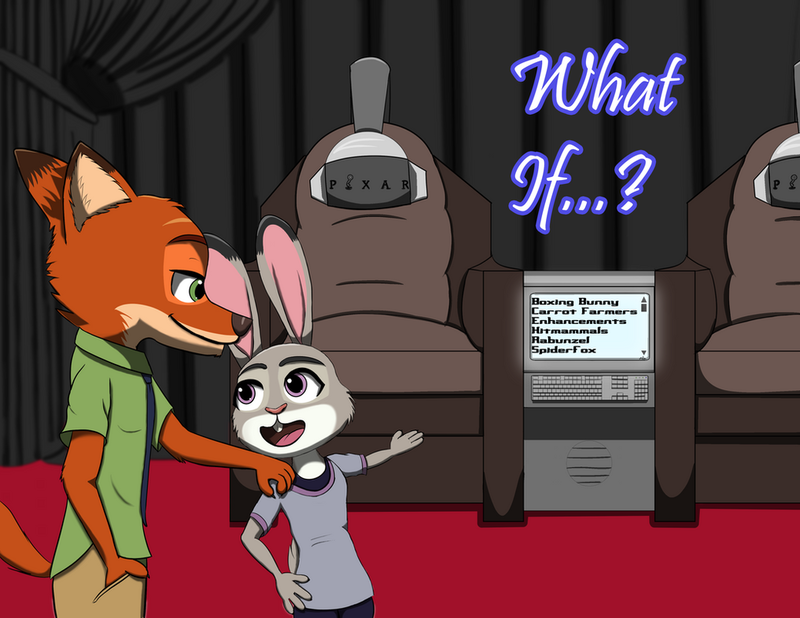 I hate 'What if' line, it really ruins things when you planned it already, this line makes you over-think about your decisions. Not my type of post.